It’s amazing the difference a year can make. Looking back on our posts from last year and all the photos, it seems as though I have a completely different child to share with you all this year. 2013 has been full of so many wonderful achievements!! I looked back at the goals I wrote in my first post of 2013 and I’m happy to report, that Braxton has knocked most of them out of the park! Talking – Well, this one he did not accomplish, but we know speech is going to be an area that needs a lot of work. Braxton is babbling a little more than he was last year, but he still does not have any words. We have been working with our speech therapist on using an iPad for choice making as a precursor to using it for his communication device as he gets older. We have also been learning sign language and although Braxton has not learned any signs, we have all made pretty good progress and have a good foundation of sign language. Eating – Seemingly overnight, Braxton has emphatically checked this one off the list. Nearly 15 months in the battle of overcoming a severe oral aversion, Braxton is finally eating by mouth AND he enjoys it! He is currently eating 3 times a day anywhere from 4-8 ounces each time. Right now, his favorite food is cinnamon applesauce! I have been able to get him to try new foods by mixing in a little applesauce or sprinkling cinnamon. We are hopeful that he will continue to make great progress. Interactive Play – Wow. Just spend 15 minutes with Braxton and you wouldn’t even believe this is a goal we had for him! He LOVES to play with us now and is VERY interactive. He plays with purpose and initiates new games and the games he likes. He will reach out for my hands to ask me to play “Row, Row, Row Your Boat” with him. If we are playing with a toy and I take it away, he will gesture to say that he wasn’t done playing. He laughs during play now and when you do something funny. He will even come get us from across the room just to give us a hug or ask to be held for a moment. Braxton gives the best hugs. Walking – We are SO close!! 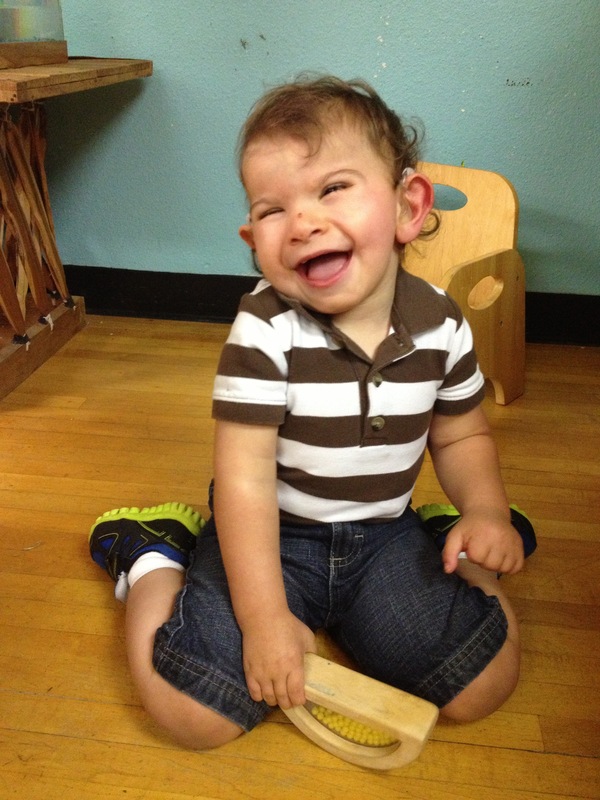 In October, Braxton made significant strides in assisted walking. We can hold one hand and he will walk right next to us. Recently, he took his first independent steps in physical therapy!! He will consistently take 3-5 steps on his own to get from one person to another. He even took on the stairs this year! He has climbed them a few times successfully with some help. We are working on independent standing now and his therapist is certain once we get that down that Braxton will take off. Braxton will stand on his own for about 5-10 seconds before he grabs on to something or falls down. He is doing AMAZING with balancing himself and trying to maintain balance as he stands on his own. He is working so hard and I know that he will walk on his own very soon. I’ll say that Braxton has certainly accomplished so much and he continues to make steady progress. There was a lot of change this year and Braxton handled it all so well. Braxton started a new daycare that has been instrumental in helping him achieve so many new milestones. We were so worried about moving him to a new school, but it has proven to be the best choice for him. I love his new teachers and how excited they are for Braxton to succeed. We have been so blessed with such a great team of teachers and therapists. 2013 was also the year we finally got a diagnosis. Getting a diagnosis brought such a relief to all of us. I will never stop worrying, but I worry a lot less now that I have a name for what is going on with Braxton. We have been very fortunate to ‘meet’ so many people who have a child who shares Braxton’s diagnosis. We have a phenomenal virtual support team in place and I love how supportive and encouraging everyone is. We love our RTS family and wish them all the best in this new year. This year, I hope we can attend one of the RTS reunions to meet some of these wonderful people in person. Medically, 2013 was the year everything finally settled down for us. We are down to seeing most of our specialists every 6 months or once year which is a huge change from 4-5 appointments a month! Now that we have a diagnosis, our doctors have a better idea of what to look out for and we have a better plan in place for him. Braxton is medically stable (*knock on wood*) and we did not have any major illnesses this year. This cold and flu season is especially brutal so I’m hoping we can manage to keep Braxton well and out of the hospital. He is still seeing all of his therapists twice a week which makes 6 hours of therapy every week. He also sees Vision and Hearing teachers from the school district who have been very helpful. 2013 was a huge year for me finding the courage to actually speak up about our story. I started the blog in 2012 and in 2013 I had the great joy of visiting our local news station to advocate for Feeding Tube Awareness Week, visited a radio show to share our diagnostic journey, spoke on a parent panel at the Texas Parent to Parent Conference, filmed with a documentary crew to shed light on the Undiagnosed community, and continue using my blog as a way to share our story and advocate for children with special needs. I’ve also been fortunate to sit on the board for U.R. Our Hope to help others on a diagnostic journey find the answers they are longing for. My life has found new purpose through what most would consider dire circumstances. I didn’t expect this life, but I have learned to make the most of it and am proudly helping others. My life is full. I am happy. I am blessed. 2013 has been very good to us and I’m very excited to see what 2014 holds! In 2014, there will be even more changes for Braxton and I know he will be just fine. 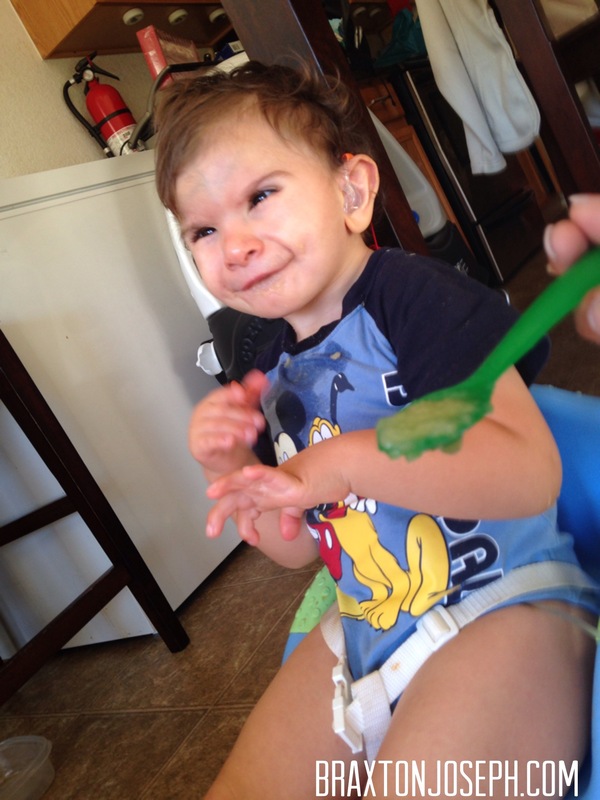 Braxton turns 3 in June which makes him eligible for Preschool for Children with Disabilities. This means Braxton can attend our local elementary school this August. Where we live, the program is only half a day. Now that I am working from home, it will be much easier to coordinate the schedule without worrying about after school care since finding daycare proved to be so difficult this year. I’m still uncertain if I will enroll him in school or let him go in to the preschool program at his daycare instead. I do know I will be meeting with the Early Childhood Intervention coordinator in March to set a meeting with the school to discuss everything, so stay tuned for more! 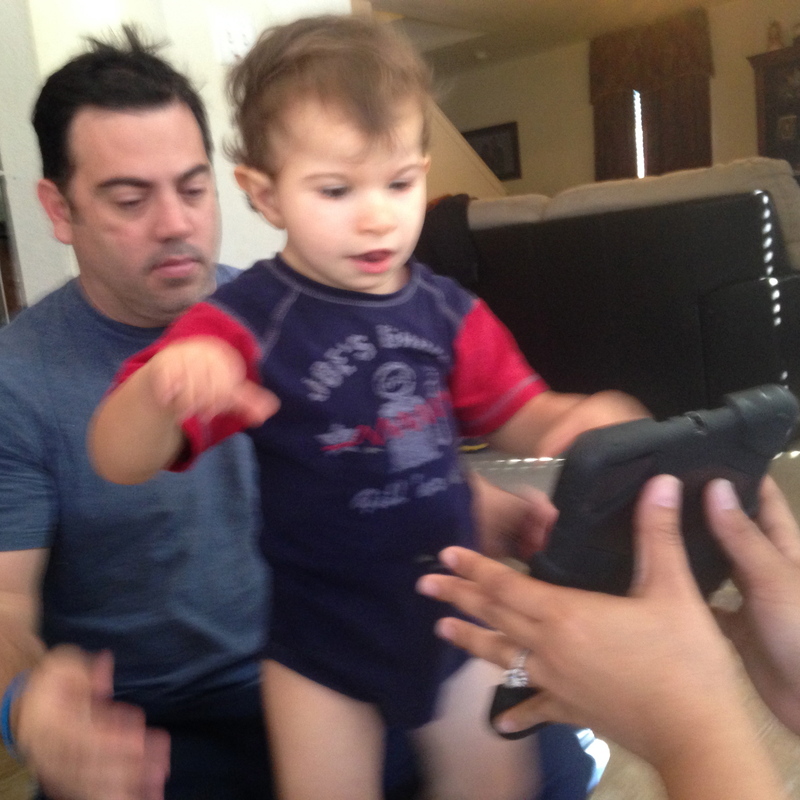 In 2014, Braxton WILL walk! No doubt about that. He is so close and working so hard. I know it’s only a matter of time. Once he is walking, I’m sure all the fun really begins. It won’t be long before he is running and jumping and climbing and really in to everything. I cannot wait! In 2014, Braxton will begin self-feeding. His Occupational Therapist is working on getting Braxton to feed himself and he will successfully bring a spoonful of food to his mouth at least 10 times in therapy. We’re also hoping Braxton will expand the variety of foods he eats. He is still eating pureed foods, so by the end of the year, it would be great to see him eating some table food. I know that we will see some pretty incredible things from Braxton this year. I’m so glad that we didn’t listen to the doctors who told us he wouldn’t do much of anything. He sure has proved them wrong and continues to do so every day. It has been quite the rollercoaster ride, but I wouldn’t change it for anything. Braxton inspires us to be better parents, live life more joyfully, and to slow down and simply enjoy the ride. This year we surpassed 33,000 views!! Here are some of our top posts! A New Journey Begins was our top post written about the day we received our diagnosis. I’m excited to continue sharing our story with you! As always, thank you for reading and sharing our story. Thanks for blogging! We are so honored to be connected to you guys!